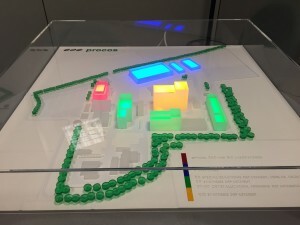 Cameri, Italy: – Long-established Italian contract manufacturer (CMO) Procos will use the upcoming CPhI Japan expo to showcase its plans for a new manufacturing workshop. Procos and CBC Co. will share a stand at CPhI Japan at Booth 2B-37 in Tokyo’s Big Sight Exhibition Center. The stand will feature a beautiful tridimensional ‘georama’ model of the new Procos facility at Cameri. The new workshop will provide a 40 per cent expansion in manufacturing capacity, up to 450m3, as well as new technology platforms to enable more innovative and creative solutions for demanding markets like oncology. “Our appearance alongside CBC Co. at this premier event underlines our strong presence in the Japanese market,” said Kingo Yamashita, head of Procos’ Sales & Marketing Division. “We have a team in Japan as caretakers of Procos activities inside of the CBC Group and manufacture of Japanese generics together with the custom synthesis activity are a key part of our strategy to drive continuous growth both in capacity and technology for high potency APIs,” said Mr. Yamashita. “Our combined team at CPhI Tokyo will have a strong story to tell about our plans to bolster our new generic APIs pipeline for the Japanese market and the strategic importance of the new workshop,” he added. Over 70 years, Procos has built up a comprehensive range of technologies and capabilities to provide high quality products and services that have been widely accepted in worldwide pharmaceutical markets. It continuously develops and adds unique generic APIs and key intermediates to its product portfolio. Innovation is a driving force of Procos activity. The company’s products are based on patented technologies and cost-effective processes. Procos chemistry expertise is focused on the most complex organic reactions, including organo-metallic catalysis, multi-catalytic hydrogenation, Enantioselective and hazardous chemistry. CPhI Japan is one of the region’s premier pharma business and sourcing events, offering delegates opportunities to arrange face-to-face meetings with potential international partners and collaborators, as well as gain insights on latest industry trends. Staged by global B2B events organizer and publisher, UBM Live, CPhI 2015 is being held April 22-24 at Tokyo’s Big Sight Exhibition Centre, alongside four other zoned exhibitions; P-MEC (including LabWorld) for machinery and equipment, ICSE for outsourcing solutions, BioPh for bio-technology and InnoPack for Drug Packaging and Delivery Technology. It is expected to be the biggest CPhI Japan event to date, attracting close to 19,000 visitors, compared with 17,275 for the 2014 event. The event also attracts more than 400 exhibiting companies, representing 28 countries. The 2015 expo will feature national pavilions for Japan, China, South Korea, UK, India and Italy. Click on Procos unveils new R&D facility plans at CPhI Japan for other information.